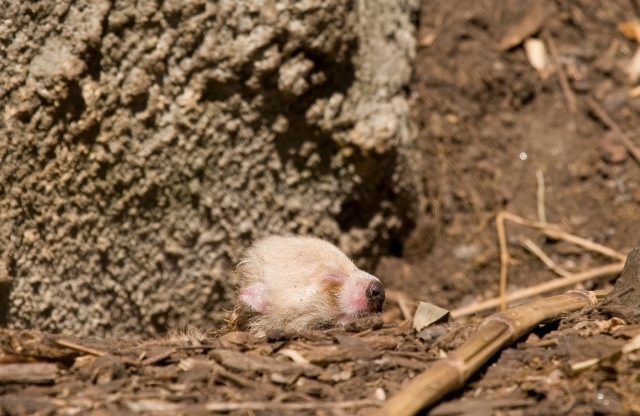 A baby red panda was born at the National Zoo in Washington, DC on June 16. 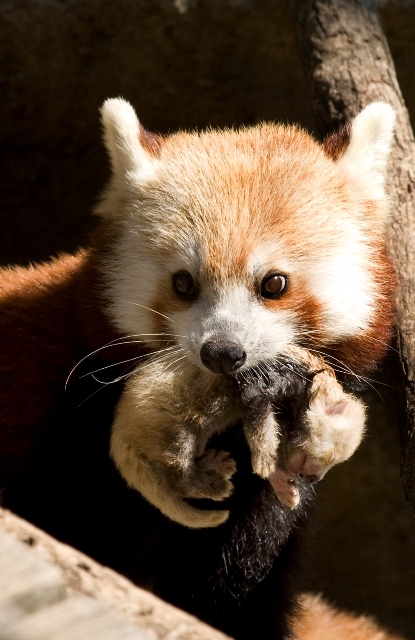 The newborn is the first red panda to be born at the zoo in 15 years. The proud parents, two-year-old Shama and three-year-old Tate, first met in February 2009, and got busy immediately. But because red pandas mate only once a year, and “because the two were inexperienced,” it took them a few tries to get Shama pregnant, the National Zoo said in a press release. Despite their name, red pandas (Ailurus fulgens, also called “lesser panda,” “bear cat” and “firefox”) are more closely related to raccoons than to giant pandas. They live in cool bamboo forests in the Sichuan and Yunnan provinces in China, in the Himalayas and in Burma. Fewer than 2,500 red pandas remain in the wild, making this birth a victory for conservationists worldwide as well as for its first-timer parents. The red pandas’ enclosure at the zoo is closed to the public to let Shama and her baby bond, but these early pictures are high-pitched-squeal-inducingly cute.